As an aid to help our clients better understand the nature of the Private Investigative profession, the processes by which we work, and the regulations by which we are governed, we have prepared this information sheet so you may have more realistic expectations regarding the work Complete Legal Investigations, Inc. will conduct on your behalf. We have no more authority than does a private citizen. We are not police officers. The training, testing, background checks, and certification process we go through in order to obtain our licenses is meant to set us apart as individuals who are committed to unbiased professionalism. As such, we are bound to rigid codes of conduct dictated by the State of Florida. Similarly, we are not attorneys. Though we are very knowledgeable of the laws governing our actions, any advice we give concerning the direction or outcome of your case is merely a suggestion that should be approved by any legal representative you may have. We are not magicians. Ours is a profession revolving around detail gathered through available information, the understanding of this detail, and the working knowledge of how to follow the trails we uncover. This detailed information is generated through diligence and knowing where to look. Just as librarians are not geniuses, they simply are trained on where and how to find information. Sometimes the information generated is contrary to what the client hopes to find. We cannot guarantee results. We can only guarantee that the necessary information, documentation, etc. will be searched for diligently, legally, expediently, and as economically as possible. If surveillance is necessary we feel obligated to inform you of the “real life” caveats. Surveillance, especially moving surveillance, is a hit and miss science. We can perform these observations under agreed upon time and location parameters but cannot promise activity on behalf of the subject. Similarly, moving surveillance carries with it inherent obstacles such as the unpredictable nature of traffic. There is no guarantee that contact with the subject can be maintained as we cannot predict traffic flow, traffic conditions, weather, or other unforeseen problems. As in number one above, we have no more authority than an ordinary citizen. This includes traffic laws. Similarly, privacy and private property laws will dictate the conduct of some surveillance investigations. 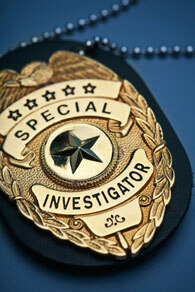 Complete Legal Investigations, Inc. can, however, make a promise that most of the other agencies can’t. That is, we will do everything in our power to reach the goal of obtaining the information you need in a timely and economical fashion and conduct ourselves in a professional and discreet manner while representing you in your case.